Capitalising the sequential effort of this young talent ,efughu chinedum Christian popularly know with his stage name LIMA has proving himself outstanding. 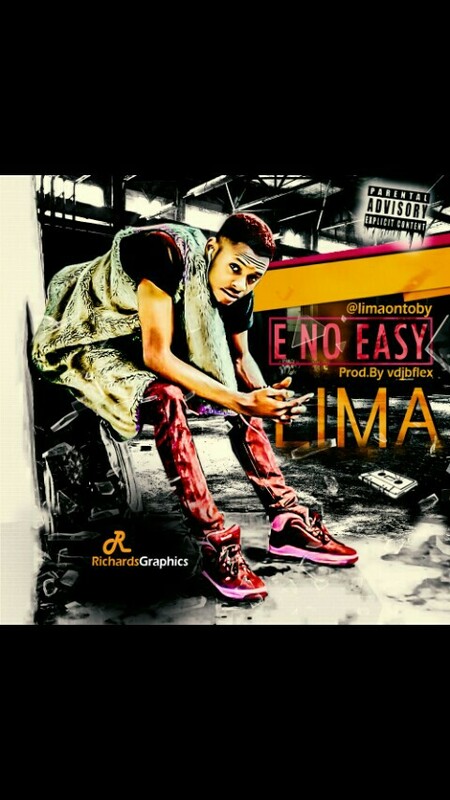 E no easy is a cool afro pop, with great harmonical power the inspiration came to him when we won the best rap artiste at the Delta youth carnival 2016 .
he was voted because of his lyrical ,vibez and unique rap style. He went back to push out something iconic on this one titled E no easy prod by djbflex ,mixed and mastered by loops sound studio.